The 5 best bits of Green spring conference. 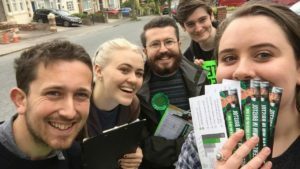 (Green Party of England and Wales) Spring Conference fun is over, so I thought I’d write my top 5 things from the weekend, for those of you who missed it. 1) The equality panel. Kate Pickett (co-author of The Spirit Level) and Indy columnist Johan Hari discussed inequality in society. Both were excellent. Kate Pickett’s thesis is now famous – that inequality makes us all worse off. But she was interesting and intelligent in her discussion of it, as you’d expect. Johan Hari was entertaining, chatty, and razor sharp. I particularly enjoyed it when he accused the Tories of class war because of their attempts to preserve the wealth of their mates. Neither answered the best question of the day, from Alex Wood. He asked whether equality of income is enough, or whether we need to also talk about control in the economy, and the kind of jobs people have. Chatting with Johan Hari afterward, he did agree with Alex’s point – that we need more co-ops, and people need not just more equal income, but more equal power. 2) We now support embryonic stem cell research. This is one of the only party policies I passionately opposed. Now, we have a policy I’ll be proud to talk about (see Ali’s discussion of this). 3) The generation shift. 10 years ago, there were two main age groups in the party: the older generation, who had been around pretty much since inception, and the younger generation who had joined in the mid 1980’s – early 1990’s. Over the last few conferences, it has been great to watch as more and more people of my generation join, and get involved. These people are serious, clever, hard working, passionate and dedicated activists. They were running the press office, and organising much of conference. What’s exciting about this is not just that young people are the future of the party. Greens and progressives of my generation have a slightly different set of politics to those who came before. Age was probably the best descriptor of how people were likely to vote on many of the amendments at conference (though, obviously, this is a trend rather than a clear line in the sand). More and more, this generation is helping to re-shape Greens from the crusty image of the past to the serious progressive political force in this country. 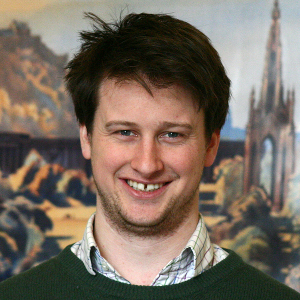 4) Adrian Ramsay. Before you ask, no, we are not related. I missed Carloline’s speech on Thursday, but caught Adrian’s deputy speech. Adrian clearly chooses the subjects his speeches. And he chose to focus on how public services make a real difference to the lives of people in his constituency – how he can help them as a Green MP. Adrian is my kind of politician. He cares deeply about people, thinks cleverly about what he can do to make their lives better, and does it. He has shown the party real leadership over the last year – not by telling us what to do, but by helping us see how much Greens can help others. It was great to see Adrian put public services front and centre. But it wasn’t just what he chose to talk about. Adrian was great at milling with the masses – there are lots of important places for him to be during conference, but he made a point of coming to the pub, having lunch in the main canteen, making sure members, old and new, felt welcome. I look forward to Autumn conference, and to hoards of new members being welcomed by Adrian Ramsay, MP for Norwich South. 5) It was announced during conference that the Fire Brigades Union had just agreed to give the party cash. It later turned out that this was, specifically, the London branch, and a few hundred pounds. They have donated before to help Darren Johnson, who was the only member of the London Fire board to back them then they went on strike. But it’s great to see them showing this support again. Let’s hope other follow suit. Hmm…think reading Alasdair’s post I answered my own question. Adam, when you say “This is one of the only party policies I passionately opposed” with regards to embryonic stem cell research, did you mean the policy before or the policy now that it’s been changed? I have to say, point three was the highlight of my conference. It was reassuring to know that we have some highly talented young people in our party who are no longer back seat passengers, but are speaking far more loudly, more confidently and actually teaching the ‘older’ ones a thing or two. I think we can see an increasing number of young people at conference and hopefully, with any luck, a fair few wishing to take a leadership role by standing for GPEX positions come Autumn. On the FBU point, yes, it seemed to be something a bit more than it was but, it goes a long way to dispelling some myths about the Green-TU relationship. 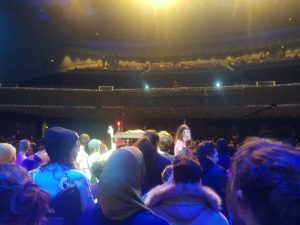 Whilst we need to do much more in regards to our involvement with TU’s, particularly the non-affiliated unions, it was still an important image that a section from a major TU made an important gesture towards the Greens.